On that day, a Full-Dive VRMMO was released, with its unique system called "Embryo" allowing each player to follow an extremely varied—or rather, an "infinitely" varied pattern of evolution. That game's name? Possessing an element that, until now, had never been achieved by VRMMOs and was considered a technical impossibility, "<Infinite Dendrogram>" took over the entire world, becoming a major hit in the blink of an eye. 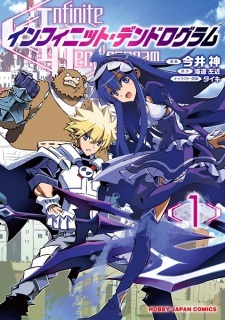 One and a half year had passed since the launch of "<Infinite Dendrogram>." A young man named Mukudori Reiji had finished his university entrance exams and began living alone in Tokyo. In order to celebrate the end of that lengthy studying period, after being invited by his older brother long ago, he finally started playing the game.